Interview Of S-Pradeep Kumar Of (HBB) Hellboundbloggers! Brother Pradeep Kumar of (HBB) Hellboundbloggers.com is one of the guys i started following since i started blogging and year and a half ago. Learned a lot and much to be followed in the future from such a successful guy. Recently, we contacted him for a short interview, more of an informal talk, so that we could learn more from him as an experienced blogger in the industry. So lets don't wait more and move on to the interview questions. 1- Welcome to BloggingeHow. You are a personality who's not bound to introduction, but as a part of formality could you tell a little about yourself? Hey Hassam, thanks for this interview, I'm happy to get featured here to expose my thoughts. 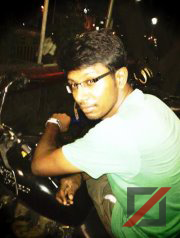 My name is S.Pradeep Kumar (21 years), founder of Slashsquare. Within few months I'll be a graduate in Computer Science and Engineering. 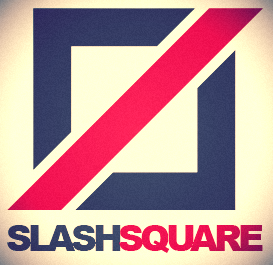 Slashsquare is a blog network and online media company. We have two blogs under it right now, they are HellBound Bloggers (HBB) and HostLater. We are working hard to make it more successful in every aspect. We admire what we do. 2- When did you start blogging and what was the inspiration behind it? Around 2009, it all started with a .blogspot platform. I started a blog for fun and I never thought it will not be 'fun' anymore. When I started to take it seriously I changed the way of writing and changed the topics I was writing. So got good response and build a better blog to fulfill my readers. 3- Are you treated differently as a "blogging guy" in your social life? The fact that I was able to earn through my blog helped me to acquire a better name in my social life. So automatically they started to respect me, sometimes I love that and sometimes I don't. 4- You recently updated your fans on Facebook regarding your universities final year project. How difficult it was to manage your studies (project etc) while keeping HBB live too? It was really difficult. Even after having hundreds of active contributors HBB needed monitoring to keep it healthy. So I was cornered. I don't like the idea of any outside people running my blog, so I didn't hire anyone for doing that. I tried my best to contribute for my project too - Thanks to Narendran and Gopi for their efforts to bring the best on our Project. We created a website for our college project called FarmersBuddy.in, where the farmers can sell their goods directly to the retailers and users like us. We didn't complete the whole stuff, but it's almost ready. 5- We all know how healthy HBB is in terms of the guest contributors. Your approach towards Guest Authors has been amazing. Could you give some tips to the beginners who look forward to attract guest contributors to their blogs too? Thanks for that. From my initial days of blogging itself I wanted to build HBB into a better community with different opinions and views. So Guest Blogging helped us to bring hundreds of different posts written by Social Media experts and experienced bloggers. I thought it will be a treat to our readers and they really enjoyed it. Well, actually there should be a good ratio of your (beginners) posts and guest posts, since you are a beginner and you don't want to fill your blog with guest posts. So here you have a good opportunity to pick few good posts and reject normal ones. You can use Social Media to inform your circle that you allow guest posts on your blog. After getting few guest posts you'll automatically see the increase in frequency. 6- Could you share your moments when you received your first payment online? On late 2009, I got some 100$ or something from Google AdSense. A typical blogger's first payment online. 7- How important do you think is Alexa rank to judge a blog/website traffic? Do you think its solid way to estimate a blogs traffic? I guess people started to forget that there is a site called "Alexa.com". Before 1 or 2 years it was pretty popular, everyone used to brag about their Alexa rank but now people rarely notice it and consider it. They use some algorithm to rank websites (I'm not offending that) but it is not convenient for bloggers and webmasters. 8- Do you aim to do a real life job in the future or you look forward to expand your online territory? I love to learn new things in my life. I want to enjoy the learning process. Blogging is my passion and Slashsquare is something which gave me respect. I won't lose both of them, but if I get a chance to learn something new in the form of working in a company, I won't regret for it. 9- Many of the people wonder how HBB earns its income due to the lack of ads they tend to see on the blog. What is your biggest source of income? Apart from the services I do indirectly or directly via Slashsquare, the major income source of HBB is Paid/Sponsored reviews. We entertain our advertisers in the form of posts instead of banner ads. We are working on Affiliate Marketing now, it is a like a big ocean, we'll jump into it after learning swimming. 10- What was the biggest advice that you gave to any body, that you think if you knew at an early blogging career, you might have been at completely different level today in terms of your overall growth in blogosphere. Aha, that would be our favorite CMS "WordPress". HBB was initially hosted on Blogger platform and I blogged there for several months without knowing much about WordPress. So it was pretty difficult for me to migrate and make it static. I normally recommend every beginner to start with WordPress if they can afford a cheap web host. 11- Looking forward to the Google Updates (The penguin one recently), what do you think one should do (on long term basis) to make sure that they get a steady traffic stream even if they get hit by such algo updates? Writing Good Content and Avoiding Black Hat SEO Techniques are the basic ones mate. If you are steady with that, then no issues. Google might target several aspects to provide better search results so they'll change the rules according. Build organic links for your blog and don't reply on cheap SEO services. I have also written an exclusive article about Google Penguin (Google Panda Update: How You Can Survive?). 12- What was the weirdest question anyone asked you in your life and how you responded to that? One of my friends, brought a web host without knowing that she is using Google's Blogger platform. It took me several minutes to explain her the reason why she don't need one. She asked several weird questions at that time, I couldn't explain to her in detail since it was a phone conversation, but it helped me to improve my patience. I always wanted to do this one but didn't get much time. You can start a series post, like part I, part II, etc, by this you can trigger your readers' attention towards your next post. Capable of increasing 'returning' visitors. By this you are not only getting good amount of traffic but also converting visitors into readers. 14- How do you think one could be successful in affiliate marketing world? You should have good readers to survive in Affiliate Marketing. The more genuine and candid your reviews are, the more sales you'll get. 15- When was it that you thought that you need to expand your online presence with Slashsquare. Was it some particular moment/ metrics etc? I needed some platform to manage multiple blogs and so I potentially wanted a network to link them. So 'Slashsquare' born, and I also started doing some online web services using this. 16- Where do you see your self in next 5 years of blogging career? I'll be running a popular Indian Blog Network with dozens of quality blogs. Your blog theme and content looks really good mate. All the best with your blog, wish you good luck. We would thank our brother S.Pradeep Kumar to join us for the interview. It was pleasure to conduct this one. #12 was epic . How did you guys found this interview? I am sure there was a lot to learn from this one. Interview Of Muhammad Mustafa Ahmedzai Of MyBloggertricks! BloggingeHow | Making Blogging Simpler: Interview Of S-Pradeep Kumar Of (HBB) Hellboundbloggers!